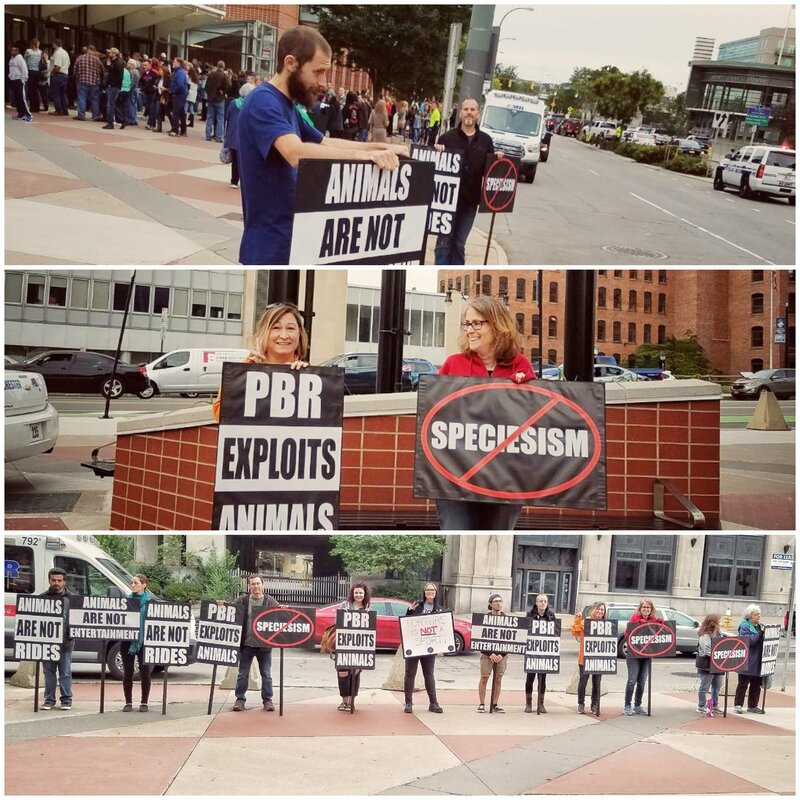 There was a great turnout to protest the PBR event at the Blue Cross Arena on September 22. 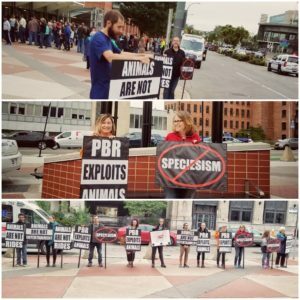 Thanks to the following people for coming out to bring awareness to the plight of these beautiful beings that are used for “entertainment”: Katie, Lisa, Beth, Carol, Kevin, Deb K., Robyn, Varun, Stephanie, Erica, Michael, Alec, Debora, and Bubbie. A big thank you to JP for organizing and for providing the very well made and professional looking signs. ← Why Love One and Eat The Other?